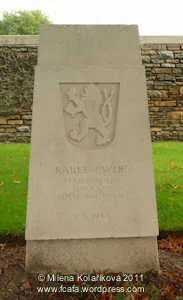 1 – Ypres Town cemetry extension, Ieper, West-Vlaanderen. From October 1914 to the summer of 1918, Ypres (now Ieper) formed the centre of a salient held by Commonwealth (and for a while French) forces. From April 1915, the town was bombarded and destroyed more completely than any other town of its size on the western front. By the outbreak of the Second World War, Ypres had been completely rebuilt, but saw heavy fighting before it fell to the Germans on 29 May 1940. YPRES TOWN CEMETERY, close to the Menin Gate, was used from October 1914 to May 1915, and once in 1918. 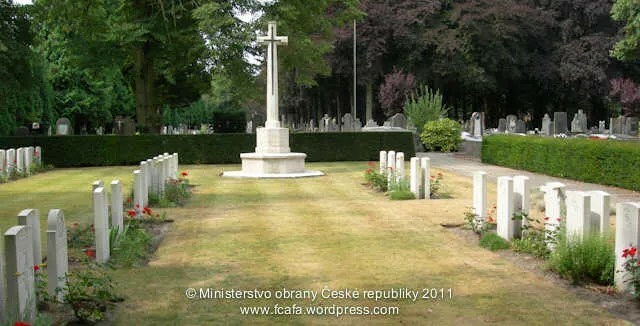 The cemetery contains 145 Commonwealth burials of the First World War, grouped in plots among the civil graves. The EXTENSION, on the east side of the town cemetery, was also begun in October 1914 and was used until April 1915, and on two further occasions in 1918. The extension was much increased after the Armistice when 367 graves were brought in from small cemeteries and isolated positions east and north of Ypres. During and after the fighting of May 1940, three civilian hospitals in the town, (Hopital de Notre Dame, the Clinique des Soeurs Noires and the Red Cross Hospital in St. Aloisius School, D’Hondstraat), cared for the wounded, and those who died were buried in the Town Cemetery Extension. Others buried on the battlefield were later brought in by the Ypres town services. There are now 598 Commonwealth casualties of the First World War buried or commemorated in the extension. 137 of the burials are unidentified and there are special memorials to 16 servicemen known or believed to be buried among them. Second World War burials number 43, of which 13 are unidentified. The extension was designed by Sir Reginald Blomfield. Shot down in combat during Circus 157. 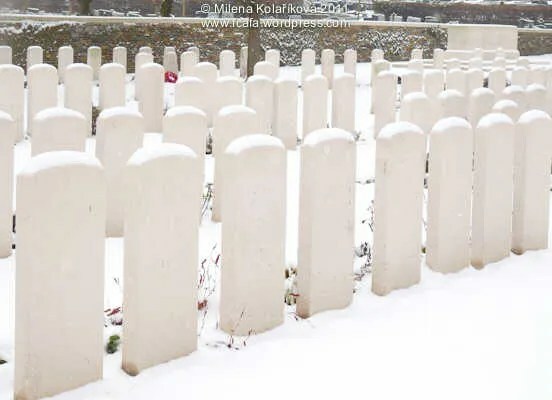 Ypres Town Cemetery Extension is located 1 kilometre east of Ieper town centre, on the Zonnebeekseweg (N332), connecting Ieper to Zonnebeke. From Ieper town centre the Zonnebeekseweg is located via Torhoutstraat and right onto Basculestraat. Basculestraat ends at a main cross roads and the first left hand turn is the Zonnebeekseweg (N345). The cemetery itself is located 300 metres along the Zonnebeekseweg on the right hand side of the road. Antwerp was the seat of the Belgian Government from 17 August to 7 October 1914. Towards the end of August, the city was one of the strong positions on the Allied left flank, and by the middle of September, a position of critical importance. 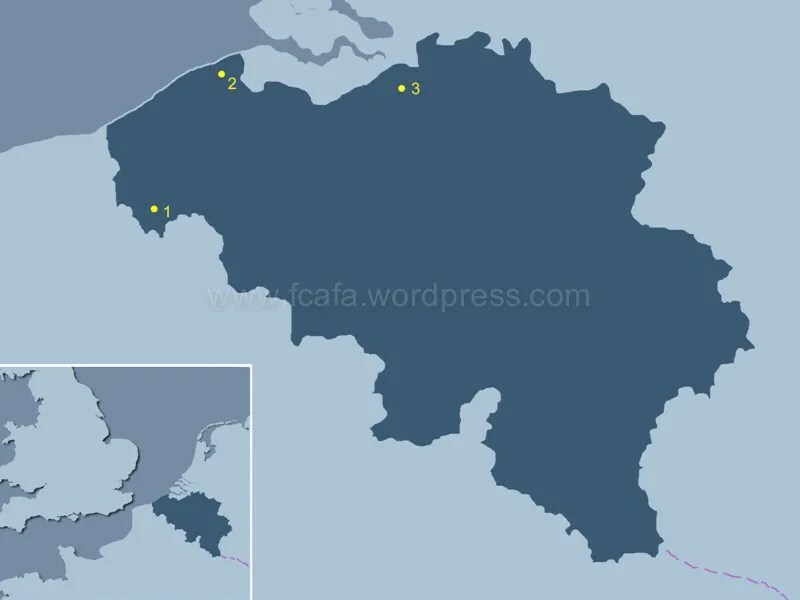 It was defended by fortress troops and the greater part of the Belgian Field Army and the Royal Naval Air Service used its aerodrome. On 27 September the Germans laid siege to Antwerp and during the first week of October the Royal Naval Division entered the city, playing a crucial part in its defence. On 9 October, before other British and French reinforcements could arrive, the last forts became untenable and the last defenders retired. From 10 October 1914 to the Armistice, the city was in German hands. German forces returned to Belgium in May 1940, and occupied Antwerp until its liberation by the Allies on 4 September 1944. The town and port were secured, but it was some weeks further before the approaches from the North Sea could be cleared of German resistance. Schoonselhof Cemetery contains 101 Commonwealth burials of the First World War, some of which were brought in from other burial grounds in the area after the Armistice (17 of them were brought in from Lierre German Cemetery, 1 from Bouchout-Les-Lierre Churchyard, 3 from the War Plot in Malines Communal Cemetery and 1 from the Casino garden at Lierre). Second World War burials number 1,455. The Commonwealth plot also contains 16 non-war burials, most of them Merchant seamen whose deaths were not due to war service. 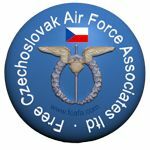 There is 1 U.S.A. airman attached to the R.A.F., 16 Polish, 1 Czechoslovak and 1 French burials here. 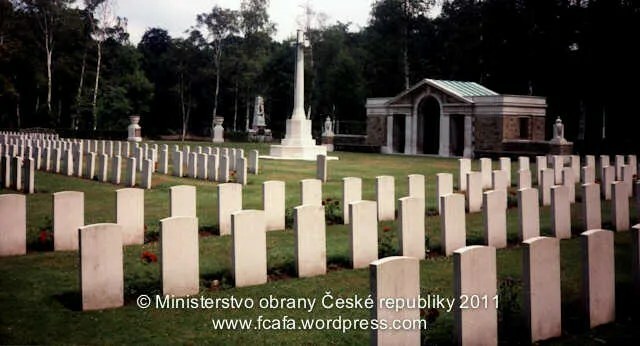 The war graves plots were designed by the Commission’s Principal Architect, Philip Hepworth, FRIBA. 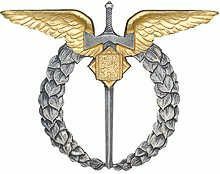 Killed in emergency landing during combat flight. Antwerp lies 57 Km north of Brussels on the E19 and 59 km north east of Gent on the E17 motorway. The cemetery itself is located in Wilrijk, a suburb of Antwerp. From the Bistplein in front of the railway station in Wilrijk follow the Kleinsteenweg for 300 M until you arrive at the ring road. Turn right and follow the ring road for 100 M to the first set of traffic lights and turn left. Go under the flyover and continue straight on over the dual carriageway into Jules Moretus Lei. Follow this street for 1 kilometre and the entrance to the Municipal Cemetery is on your left. After entering the cemetery follow the Commission signs to the three Commission plots at the far end of the cemetery. Alternatively ask for their location at the office within the cemetery. Address: Schoonselhof Cemetery, Krijgsbaan, 2660 Antwerpen. 3 – Brugge General Cemetery, Brugge, West-Vlaanderen. The British Expeditionary Force was involved in the later stages of the defence of Belgium following the German invasion in May 1940, and suffered many casualties in covering the withdrawal to Dunkirk. Commonwealth forces did not return until September 1944, but in the intervening years, many airmen were shot down or crashed in raids on strategic objectives in Belgium, or while returning from missions over Germany. 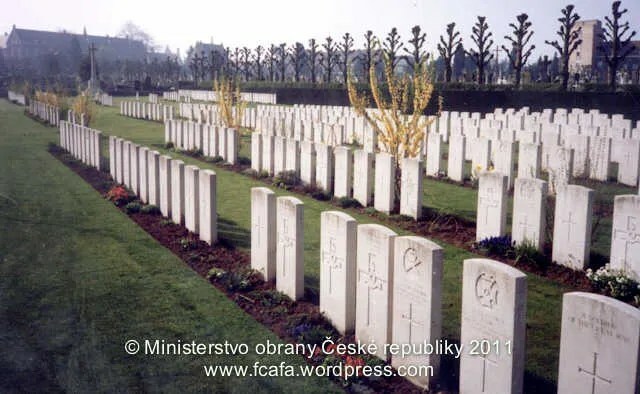 The Commonwealth plot in Brugge General Cemetery contains 81 Second World War burials, one Czechoslovak and one Dutch war grave. 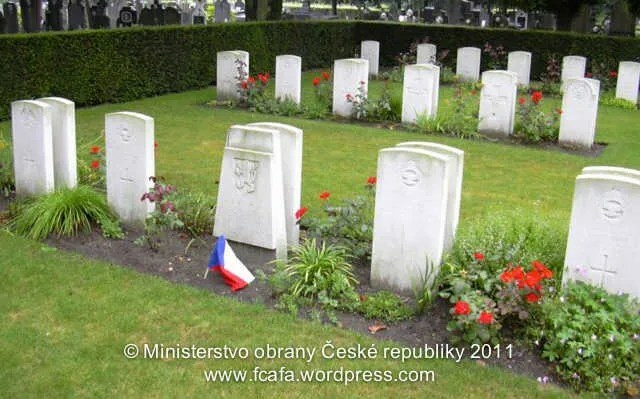 The Belgian military plot contains one Commonwealth burial of the First World War. Brugge General Cemetery is located in the south east district of the town of Brugge. The N50 leads from the R30 Brugge ring road, heading towards Oostkamp. 2 kilometres along the N50, Baron Rusettelaan, lies the left hand turning onto Brugs-Kerkhofstraat. The cemetery is located at the end of Brugs-Kerkhofstraat. The Commission plot is located centrally in the cemetery and vehicle access is possible via Kleine Kerkhofstraat. This cemetery is not an open site and access is limited by normal cemetery opening hours. Address: Brugge General Cemetery, risstraat 64, 8310 Brugge. MACHÁČEK Jiří, 26, F/O, 145 Sqn, Pilot. † 08/07/41, De Moeren, Belgium. 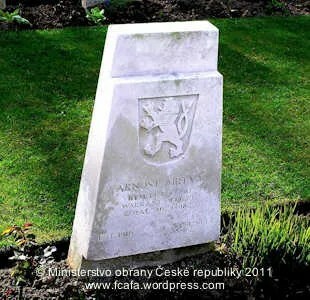 F/O Jiří Macháček is also most probably buried in Belgium. The Germans took his body for further identification and burial, but to date records detailing the burial location have yet to be found. A hypothesis, by noted Czech Aviation historian PhDr Jiří Rajlich who has researched this incident, is that Jiří Macháček is quite possibly buried as ‘unidentified’ in the Adinkerke War Cemetery, about 6 km from De Moereen. F/O Jiří Macháček is also commemorated on a plaque in his hometown of Sedlčany, Příbram. * 15/11/05, Róžne pod Pernštejnem. Pilot with GC III/3, achieved 5+0=5 victories. 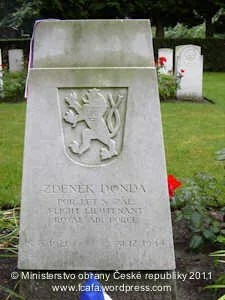 Killed during aerial combat, aircraft crashed near Wettern, Belgium, where he was originally buried. Decorated postumously with two Válečný kříž [War Cross’s], by Czechoslovakia and a Croix de Guerre with Palm, by France.On 15/10/1950, following the request of the family was exhumed at reburied in the family vault at Rožná pod Pernštejnem, Czechoslovakia. At Wettern Cemetery is a plaque in his commemoration. 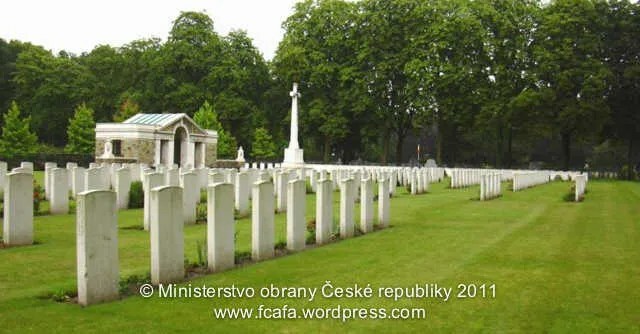 The assistance of Ministerstvo obrany České republiky [Ministry of Defence, Czech Republic] the Commonwealth War Graves Commission and valued contributors with this article, is very much appreciated. This entry was posted in Cemetries, Not Forgotton. Bookmark the permalink.